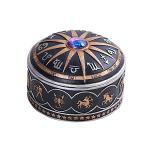 This Binding Box binds any of your spirits or spells placed in the box to all 3 of your bodies! 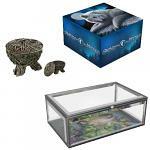 It is a variant of the Triumvirate, but you do not have to bind spirits or spells in groups of 3 with this box. This a Binding Box to bind (5) Class 5 spells that are special to Ash & myself. You can bind the spells to your own vessels! Add Charging Energy Temporarily Or Permanently To Any Spirited Or Spelled Vessel! You can add Charging Energy temporarily or permanently to any spirited or spell vessel, from any seller, works with White Arts & Dark Arts! You will receive an incredible Binding Box which will bind any vessel with an enchantment to strengthen the hues of your Aura colors and allow you to see your Auric halo through your eyes and/or Third Eye. When you can see and feel your Aura you have firsthand knowledge of how your life is going and how things are working for you. You can have immediate feedback when it comes to life situations, people and decisions which create ripple effects in your life. This enchantment bends your Aura colors to allow you to be able to view your Aura halo and understand the power of aura colors. 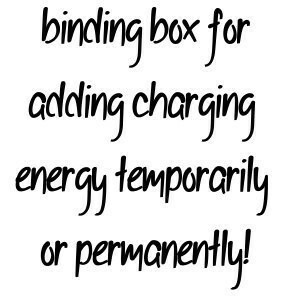 Binding & Charging Box :: Make Your Own! :: Choose 3 Creepy Hollows Spells From The Shop! 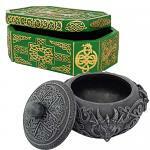 This Binding Box binds vessels (empty, enchanted and/or spirited) with your choice of 3 spells from the shop! It also acts as a Charging Box for all your spirited & spelled vessels; White Arts, Dark Arts, whether from CH or not! This Binding Bag creates an amulet which acts like an energy Vampire. Everything that is within a 100 foot radius of the tool that has excess energy being unspent will be "eaten" by the amulet and captured for your future use. If you use this bag to create multiple amulets you take to different areas like to work, shopping, the park, the zoo, the city square, etc you will be amazed at the complete diversity of all the energies which are captured into the amulet that you can use. You will find this gives you SO MANY options for the paranormal power and path of your life. You will become addicted to making amulets and using their Vampiric magick to capture a broad spectrum of energies you can use in your life. This bag works within the Universe and all dimensions to recover any pieces of your divinity which have been left throughout the Universe in all your incarnations. Every time you are incarnated you are given a new soul but as you live in each incarnation you can leave pieces of yourself throughout the Universe. To recover as many pieces as you can from all past incarnations means you will create a beautiful amulet that includes all pieces of your retrieved souls and creates a soul amulet so incredible you will be in awe of how faceted a being you really are! This Binding Bag will create a super awareness around you of everything that exists in a normal and paranormal state. The more aware and observant you are the more ingrained your supernatural abilities can become in your daily functions. You can create as many "awareness points" as you wish with this bag and you should situate your awareness points around your home or office so you have a good radius. This creates a field in which your supernatural and natural abilities are stimulated to work together for recognition and understanding of what can be seen and not seen with the naked eye. All of your supernatural senses become acutely in tune with all around you and your Third Eye becomes a powerful conduit for paranormal gifts and power. This Binding Bag creates an amulet which is filled with warrior energies and creates a magickal armor which will follow you. When you create an amulet it is imbued with spells to: bring you confidence and self-assurance for achieving victory in life, giving you shrewd direction & train of thought for success, ability to size up the competition and know what they are thinking, creative thoughts & ideas to stay one step ahead of everyone around you, shield to keep you safe from all evil forms of magick & repel all evil unbounds, and a wall of warrior energy in your home to subconsciously let everyone know you are not to be trifled with. 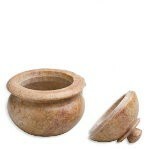 You will enjoy the enduring, personal power these amulet provide you. This Binding Box binds vessels (empty, enchanted and/or spirited) with spells for Astral Travel, Remote Viewing, Astral Projection, and Astral Connection!